Newegg's sale on Intel's Skylake Core i3 NUC makes for a good, affordable HTPC—or just a simple, easy way to get your feet wet with PC building. For anyone wanting to take their first baby steps into the world of PC building, it doesn’t get much easier than today’s deal. 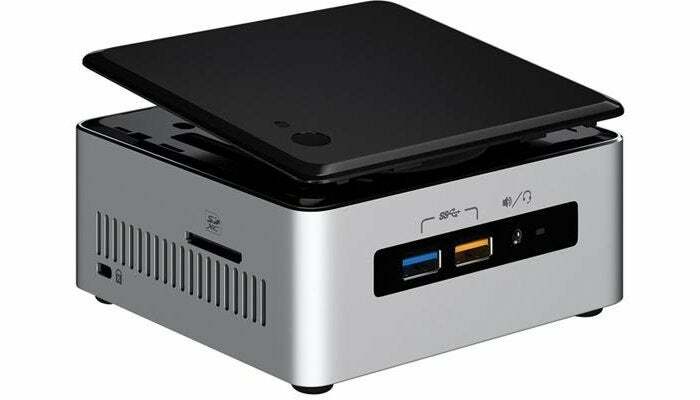 You can create an HTPC with a small footprint for pretty cheap and little work thanks to Newegg, which is selling an Intel NUC with a Skylake Core i3 processor at $220. That’s $80 off the sticker price, and about $40 to $50 off the latest street prices. To be clear, this is a bare-bones system. The PC comes with a processor and some basic components like Wi-Fi support built-in, but it’s up to you to buy (and install) a storage drive, RAM, and an operating system. This particular NUC features a 2.3GHz, dual-core Intel “Skylake” Core i3-6100U, integrated Intel HD 520 graphics, support for up to 32GB of RAM across two 260 pin SO-DIMM slots, and two storage slots. (One is for an M.2 SSD—either 22-by-42 or 22-by-80—and the other a 2.5-inch SATA 6Gbps SSD.) Where you pick up those components to turn this kit into a functioning PC is your call. 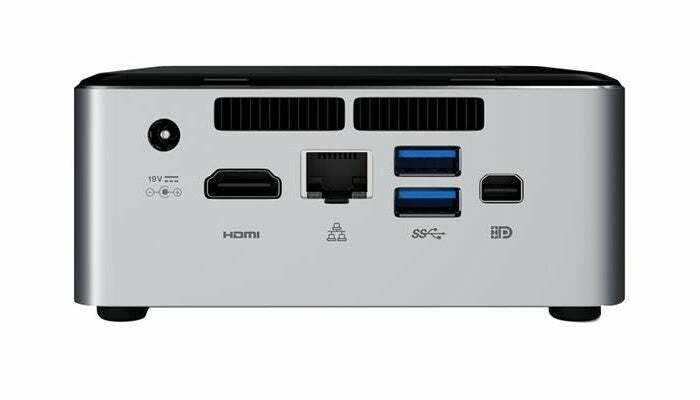 For ports, you get four USB 3.0 (two on the front, two on the back), two internal USB 2.0 via header, one HDMI 1.4b, and one mini DisplayPort 1.2. For wireless, you get an Intel Wireless-AC 8260 card that’s soldered to the motherboard and supports 802.11ac, Bluetooth 4.1, and Intel Wireless Display (WiDi) 6.0. As far as the operating system goes, the NUC6i3SYH is certified to work with Windows 8.1 and 10, but it’s also compatible with several Linux flavors including Ubuntu, Linux Mint, Fedora, and OpenSUSE. Deciding on which operating system to use should be the most complicated part about putting together a working NUC—installing the parts and finding a place for it in your home should be a snap.